Police are warning residents about an increase in clown incidents - including ‘concerning’ reports of children being chased. PCSO Daniel Widdowson said: “There seems to be an increase of incidents of sightings of people dressing up as clowns. PCSO Widdowson said there have been a couple of incidents around the Mere’s Leisure Centre, Trent road, Hornsby Road and Barrowby areas of Grantham. 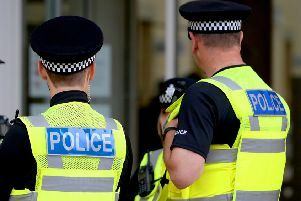 Anyone who sees someone dressed as a clown acting in a ‘suspicious manner’ is asked to call police on 101 giving a description of the clown(s) and what they are doing. In an emergency call 999.